Cleaning is something that no one can deny. We can stay without anything but not proper sanitation. Whenever we clean our upholstery, carpets and other things with water, we think that these are clean. But are they actually clean? 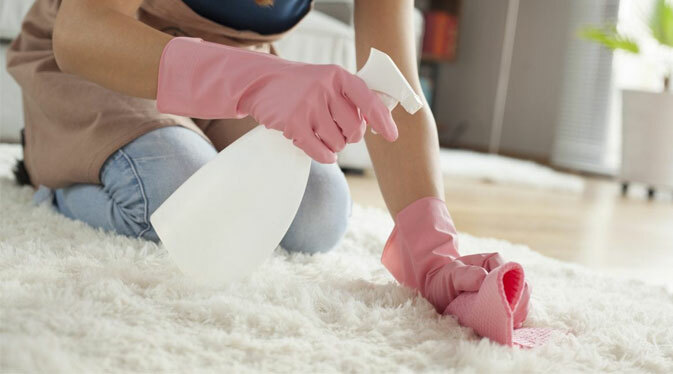 If cold or regular water can clean everything in a hygienic manner then why does the manufacturer recommend using Professional Hot Water Extraction for ideal cleaning of carpets? According to the Manufacturer, this is a basic science. The reason for recommending hot water extraction is the temperature of hot water. The water must be enough hot to clean the carpet. But how much hot do you need? Yes, the temperature of water is important. The water shouldn’t be excessive hot that boils your carpet too. The carpet users should know that The Carpet and Rugs Institute suggests them to go for a proper carpet cleaning method. In accordance with them, carpet should be cleaned once in every 12 months to 18 months. With what should you clean your carpets? Yes, again the name of Professional Hot Water Extraction comes up! Shaw Industries is the renowned manufacturer of Carpet Industry. They are considered world’s largest industry which deals with carpet manufacturing. Their manufacturer also advocates professional hot water extraction. They did researches by their own to know the details of carpet cleaning. They expressed the results related to hot water extraction in their maintenance brochure. Manufacturer of Shaw Industries states that they have found that there are researches that show that the professional hot water extraction method can afford the ultimate competence for cleaning. They also explained that the process of hot water extraction may seem like steaming but this process does not include steaming at all! Users of carpets must have heard about the Carpet Manufacturer industry Mohawk Carpets. 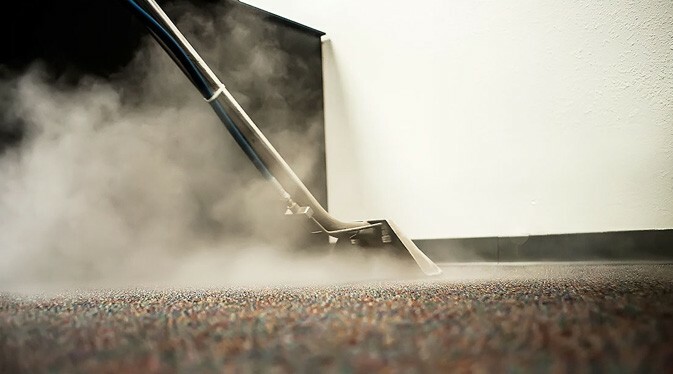 According to them also, nothing can protect your carpet from the daily dirt and dust more than the hot water extraction. Not only the manufacturers but also the producers of carpet fiber recommend the users to use this method. The manufacturer company named DuPont is a topnotch industry when it comes to manufacturing the best carpets in the world. The manufacturer of this company also claims the importance of hot water extraction. In their instruction, they explain that the procedure of hot water extraction is required for their carpets once in every 18 months. They also stated that it refreshes their carpet texture. The microbiological test by William C. McDonald who is a Microbiological Consultant also supports hot water extraction. It says that hot water extraction can lessen the intensity of microorganism. The test did a comparison between the “before and after” condition of the cleaning. Bacteria, mold and yeast were tested also. It proved that hot water extraction minimizes about 96% of germs. They also mentioned that no harsh chemical would be there on the carpets after you clean it with hot water extraction. Most of the carpet owners along with the manufacturers of the carpets suggest us to settle on hot water extraction because they know the positive aspect of using it. Hot water extractions are used chiefly for cleaning the natural fibers. This is because hot water extraction can easily prevent shrinkage. More than any other methods of cleaning, hot water can avoid contraction and keep the carpet shrinkage-free. Vacuuming will clean the outer portion of your house. What about a deep clean for your carpet? The bottom part of a carpet can trap dust, cigarette smoke and even pet hair. It is very important to clean the carpets in a proper technique. 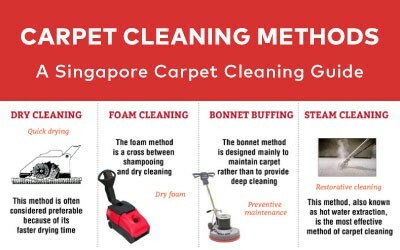 There are a lot of ways of cleaning Carpet which includes dry cleaning and shampooing too. But as the manufacturers say, hot water extraction is the best technique according to the environmental impact, safety and efficiency. There are many times when we see that Hot Water Extraction is named as Steam Cleaning. But there is a huge difference between both of these. In the Hot Water Extraction, there will be no association of Steam. In the process of hot water extraction, the water is usually heated. According to sources, the temperature of the heat should be 122-448 degrees Fahrenheit. With the water, a cleaning solution should also be added for heating up. Often we see that carpets have stains on them. Hot water extraction works incredibly in this situation too. It can remove stains easily with the power of heat. In this process, specific truck-mounted equipment is used. First an ALKALIEN cleaning solution should be used on the carpet surface. Then it should be slightly stirred up with a brush. Then the cleaning solution should be passed all over the carpet thoroughly. After this, the pre-conditioner should be rinsed out. Later, the carpet should be dried up. When drying up, the user should keep in mind that there can be moisture damage (to any wooden furniture which is below) and they should be careful about this. There will be users who will recommend shampooing for cleaning their carpets. Dry cleaning is also recommended by the users at times. As these methods of cleaning are very easy, users feel comfortable to do them. But these can be done in every week. What about cleaning the carpets from tip to toe? There are reasons behind manufacturers recommending hot water extraction. Millions of germs that are not visible stay hidden under and inside the carpet. Would you ever be able to clean it from the core with just shampooing? Dry cleaning or regular shampooing may seem easy but they work on surface only. They will be only capable of affording you a superficial cleaning. But if you use hot water extraction, you will be able to clean your carpet deeply. Carpets get excessive dirty and they can pollute the air of your house if you do not clean it properly. Shampooing or dry cleaning will not be the actual method if you want profound sanitation. Not only this, hot water extraction usually cleans each and every stubborn stain along with the odors and keeps the air of your house pollution and dust free. Are you cleaning your carpets with powder? Manufactures do not support cleaning your carpet with powders. They are highly against dry cleaning too. In accordance with the manufacturers, if you clean your carpet with powder, it can leave residues. The fact here is we clean our carpets so that we can take out the residues. The users will face the same problem if they use any dry cleaner solution or shampooing method. So, it is clear that these procedures are not what users need. In this case, manufacturers again support professional hot water extraction. It is proven that this process is capable of leaving minimal residues. We live in a house and we take care of that environment of the house. So it is our responsibility to take care of the environment outside of our house too. When manufacturer crafts their products, they are bound to keep the environment in mind. And so they always support the facts that can take care of our environment such as hot water extraction for carpet. One of the most prominent reasons of manufacturers supporting the idea of professional hot water extraction for carpet is the eco-friendly nature of the method. Hot water extraction doesn’t use any kind of harsh chemicals and we all know that chemical can create an imbalance in the environment. The harsh chemical can also risk your kids. Even pets are not safe if users use chemicals on their carpets. The best and gentlest solution of this is professional hot water extraction. This will not damage the environment and the people around you, so we can mark it as a safe solution for effective cleaner of carpet. So, we can say that if this process of professional hot water extraction is recommended by the best manufacturers then carpet users must try this so that they can verify the practice and get the best benefit out of them. It’s cool how this method of carpet cleaning is environmentally friendly. My wife wants to save the earth in any way she can. I will pass this on to her as we look for carpet cleaning services.